Why should I join a political party? development to be left in the hands of professional politicians. Non-participation foists the wrong candidates and policies on the electorate at general elections. Nigeria will only move forward when good people like you join politics to encourage good policies and people. Only good and selfless Nigerians will move the country forward. Why should I join the Youth Party? Why the name Youth Party? Our party was founded by youths. Also, a major part of our ideology is the grooming and training of future leaders. We are committed to giving young Nigerians the opportunity to be involved in politics at an early stage without excluding those of the older generation that share our ideals. I am old and do not see a role for me? There is a role for you in our party: you will enjoy all membership privileges and also have an opportunity to be part of the Elders’ Council in your state, where you will mediate in disputes, participate in the screening of candidates for public office, amongst other functions. Is there a membership subscription and why? 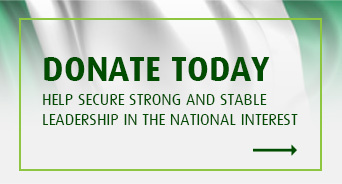 The membership subscription is a minimum of N200 per month. It is important that the funding is not limited to a few people to foster internal democracy and prevent ‘godfatherism’. Hence, there is a need for all members to contribute financially to defray the cost of running the party. What do I get in return for my membership? You will be an important part of our team. You will help shape our party policy; you can attend local meetings and stand as a candidate. You will also help in choosing our flag bearers for general elections. 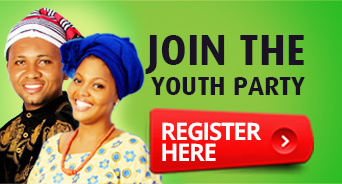 because you have an ambition to serve our fatherland, the right step is by enrolling with the Youth Party as a member. What’s the next step after I join? We will send you a membership pack and invite you for an induction programme. We will also get you involved in our activities by forwarding information about local campaign events, campaign training sessions, and opportunities to share your ideas about our party’s policies. If you have further questions, you can send a message using this form.